Sprays on even and smooth, dark grey colour. 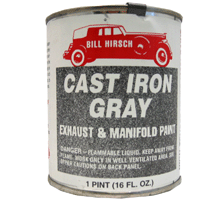 Prevents rust while enhancing the finish coat with filling and sealing properties. Functions like galvanising. 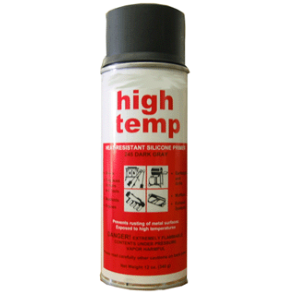 Perfect for use before applying Hirsch exhaust / manifold coatings. 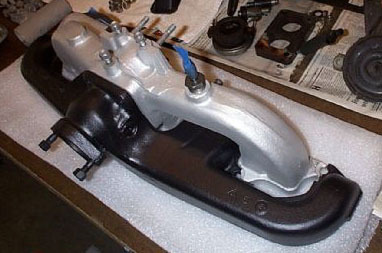 These paint type coatings are rated to withstand temperatures up to 2000 degrees F.
Brush or spray these onto clean, or sandblasted manifold, exhaust and similar areas and they will restore the look to new and protect the finish. Easy to use, withstands all weather conditions, dries fast and yields amazing results. Aluminium & Black rated to 2000 deg. F. Grey rated to 1800 deg. F.